Home - Cesar Nahas, M.D. 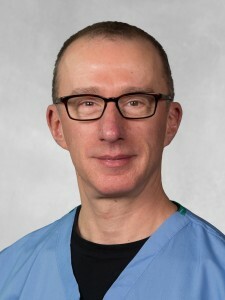 Cesar Nahas, M.D. Facing open-heart surgery to replace or repair a heart valve? Heart Attack – What Causes It? Heart Murmur – What is it? Assisted by state-of-the-art technology, our board-certified cardio-thoracic surgeons perform the latest procedures, including Minimal IncisionValve Surgery. We provide comprehensive treatment of peripheral vascular disease and endovascular surgery, including minimally invasive treatment of aortic aneurysm. Our multi-disciplinary team takes an integrated approach to the management of thoracic problems, to deliver high-quality, compassionate care. Our full-service laboratory is staffed by Registered Vascular Technologists who provide non-invasive testing of the arteries and veins. Are you looking for a world-class heart & vascular surgeon in the Houston, the Bay Area & Webster? In 1997 Texas Surgical Associates recruited Dr. Cesar Nahas who was then a full time faculty at Baylor College of Medicine and the chief of cardiac surgery at the Michael DeBakey Houston VA Hospital to found the practice at Clear Lake Regional Medical Center. He practiced for 20 years and his program was very successful. Prior to that time, only a small number of heart surgeries were performed there. Dr. Nahas was instrumental in growing cardiovascular care in the Clear Lake area to what it has become today. His respected practice focuses on state-of-the-art heart surgery, thoracic surgery, open vascular as well as endovascular procedures. He has a large experience in off-pump coronary artery bypass, mitral valve repair, minimally invasive repair of abdominal aortic aneurysms as well as endovascular limb salvage procedures. In January 2018, Dr Nahas joined the University of Texas and was appointed as the medical director of the Cardiac Surgery Program at Memorial Hermann Southeast Hospital where he is founding a new heart surgery program.